The first round match between Nicolas Mahut and John Isner in Wimbledon 2010 is the longest on record. The fifth set was played over three days, in more than 7 hours, and total match time is more than 11 hours. The score was 59-59 before it was halted on the second day due to darkness. Isner won 70-68. He had a total of 112 aces, while the Frenchman had 103. The previous record was set in Roland Garros 2004 when Fabrice Santoro beat Arnaud Clement in six hours 33 minutes. The previous longest fifth set at a Grand Slam was between Andy Roddick and Younes El Aynaoui in 2003 Australian Open, at 21-19. 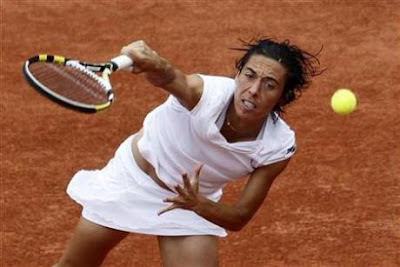 By defeating Sam Stosur in the Roland Garros women's singles final, Francesca Schiavone became the first Italian woman to win a Grand Slam event, and the first Italian to win one since Aderiano Panatta won the French Open in 1976. The 29-year old Italian never progressed beyond the quarterfinals in a Grand Slam event, and only won 3 minor singles title before her breakthrough at the Paris clay. She is the second oldest woman since 1968 to win her first Grand Slam title. As the 17th-seed, Schiavone was also the first since 1933 to win the title by someone who is not in the Top 10 ranking.